Can a Teen Get a Prepaid Credit Card Without Parent's Permission? Debit cards are a smart way to learn money management techniques when you’re not yet an adult. Since the funds are immediately withdrawn from the account associated with the debit card, you don’t have to worry about paying interest or racking up debt like you would with a credit card. 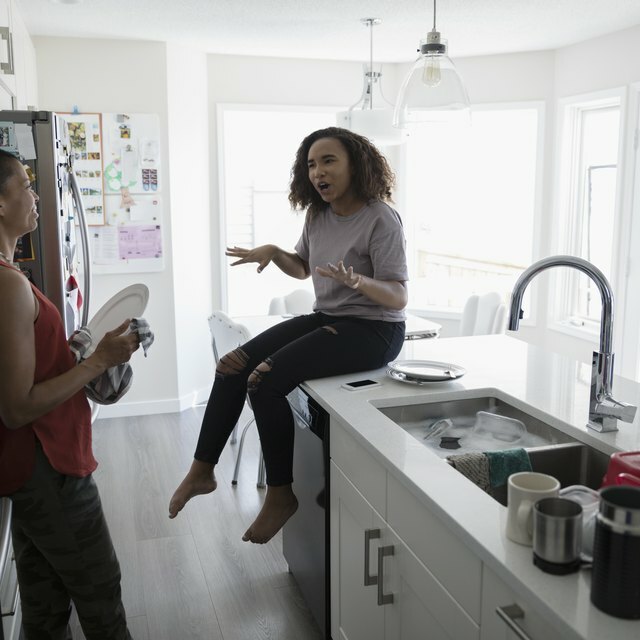 Plus, the long-term consequences of using a debit card while you’re young and still learning how to manage your finances will not pose problems with your credit, something you want to protect for future purposes. You need to open a checking or savings account in order to obtain a debit card. When you use the debit card at a store, payments and funds are taken directly from this bank account. There’s one caveat – the law requires that customers under 18 need a parent to co-sign to set up a checking or savings account. Since a parent must co-sign, the parent is ultimately responsible if you overdraw funds or if fees are posted for which funds are not available. Most banks require you to open a checking or savings account in person along with your parent. Bring your driver’s license or another piece of government-issued identification, such as a birth certificate or your passport. You also need to bring your social security number. Some banks also require proof of residency in the U.S., which can come from your passport, ID or birth certificate. Plan to make a small deposit to open the account. Check ahead of time to see what the bank requires. For instance, U.S. Bank requires a $25 opening deposit that can be paid with cash, check or a credit card your parents gave you. Prepaid debit cards are another option if you choose not to open a checking or savings account. These cards, available at banks and retailers, are loaded with a specific amount of money you can then use to make purchases. Some cards are one-time use only, but you can also buy reloadable prepaid cards that allow you to add more money. The disadvantage of these cards is that if you do not have the funds on the card to make a purchase, you cannot rely on overdraft protection to cover the payment. Instead, you’ll need to reload the card or make your purchase a different way. Parents can add a child’s name to their own checking or savings account and provide the child with a debit card that’s tied to that account. Parents must carefully monitor the account, though, since any withdrawals or purchases made may reduce the balance to the point where there’s not enough money to pay bills or pay for other purchases. Always ask your parents how much you can buy with the debit card to make sure you don’t cause problems with their account. Consumer Financial Protection Bureau: What Is the Difference between a Debit Card and a Prepaid Debit Card?